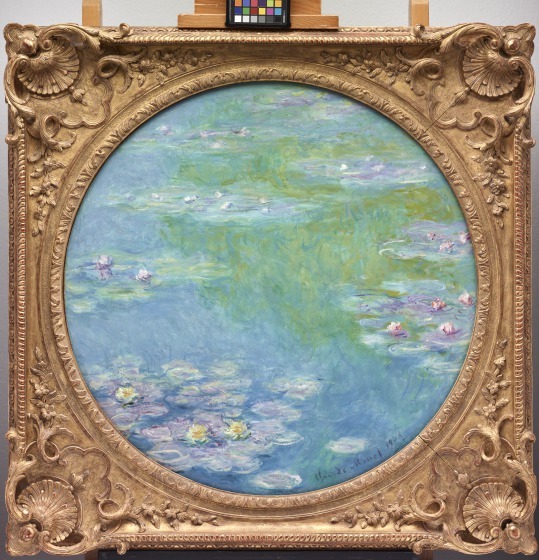 Twentieth-century art is inconceivable without Claude Monet's paintings of water lilies. They are, in many ways, as important in the history of artistic invention as the Analytic Cubism of Pablo Picasso and Georges Braque or the decorative abstraction of Henri Matisse. Painted between 1899 and the painter's death in 1926, they are among the greatest "late" works in the history of art. Monet moved to his long, rustic farmhouse in Giverny in 1883. 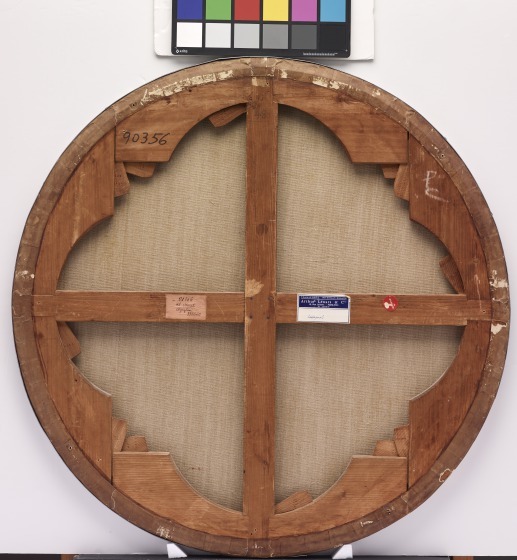 In 1890, he acquired more property and devoted himself to creating out of it an ideal garden, as distinct from the real, rural subjects he had painted and continued to paint until 1900. The garden was divided into two major parts: the flower garden near the house and, in a swampy field, the water garden created by diverting a tributary of the Epte River. The flower garden was arranged in a rectilinear pattern of paths, while the water garden was completely curvilinear, encircling a peanut-shaped pond with a Japanese footbridge at the narrow focal point. 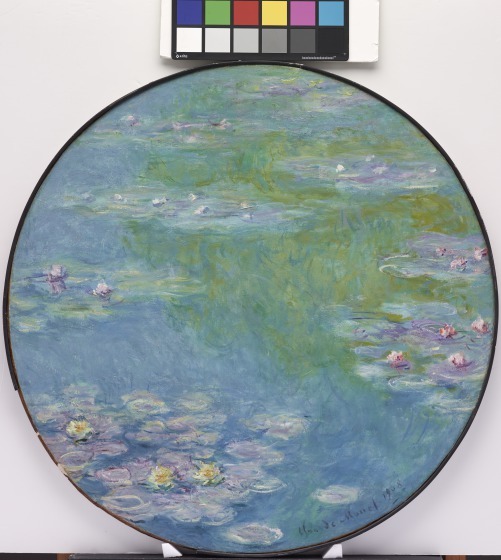 Monet became less and less concerned with conventional pictorial space in his transcription of the water garden. By 1904, the horizon line of the water landscapes had crept to the very top of the canvas, and, by 1906, there was no horizon line at all. 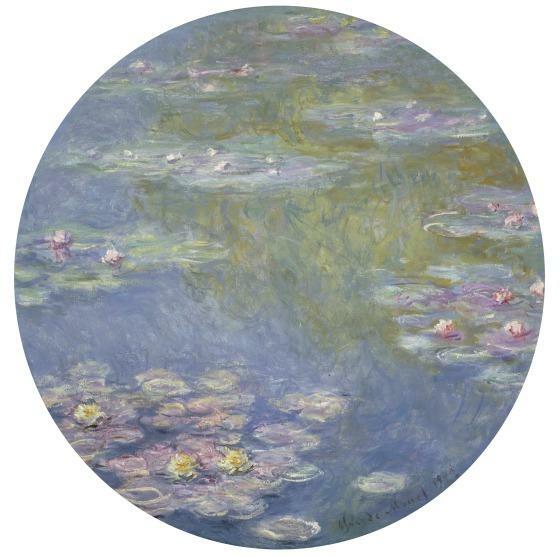 For Monet, the subject of the paintings increasingly became the surface of the water. 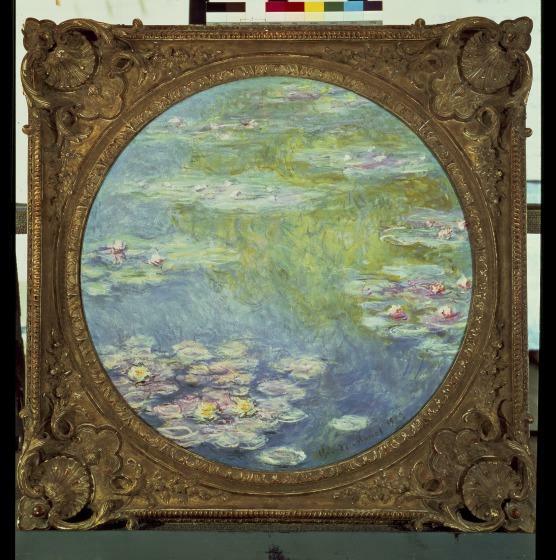 At once a mirror of the world above and a window into the world within the pool, Monet's illusionistic surface was in every sense the ultimate pictorial surface. 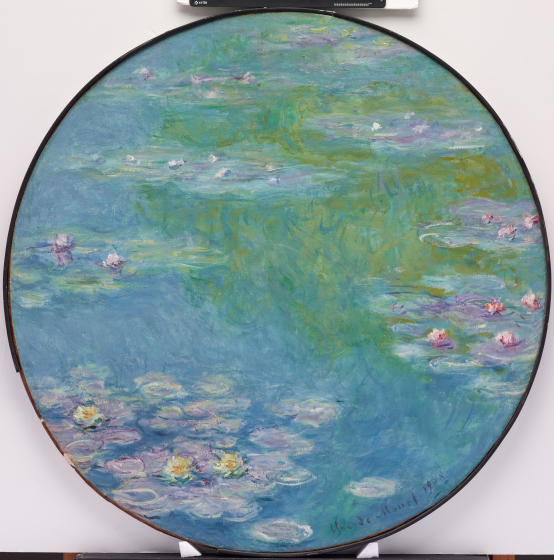 By 1910, he had transcended the conventional boundaries of easel painting and had begun to create immense decorations that culminated in the series of water lilies commissioned by the French government for two oval galleries in the Orangerie. 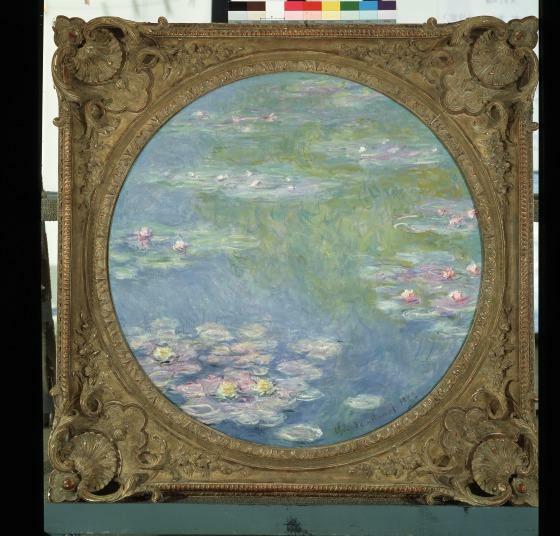 Claude Monet gifted several of his Water Lilies to the French State as a symbol of peace on Armistice Day in 1918, the day which, in effect, ended World War I. Watch this video of Monet painting en plein air, or outdoors, from the Los Angeles County Museum of Art. 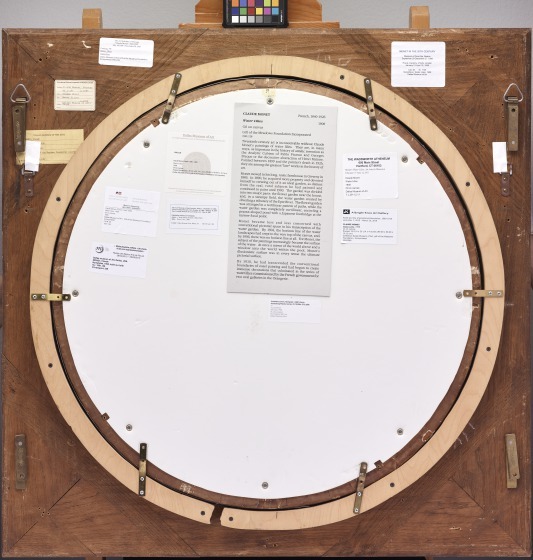 Learn more about Monet's Water Lilies cycle. 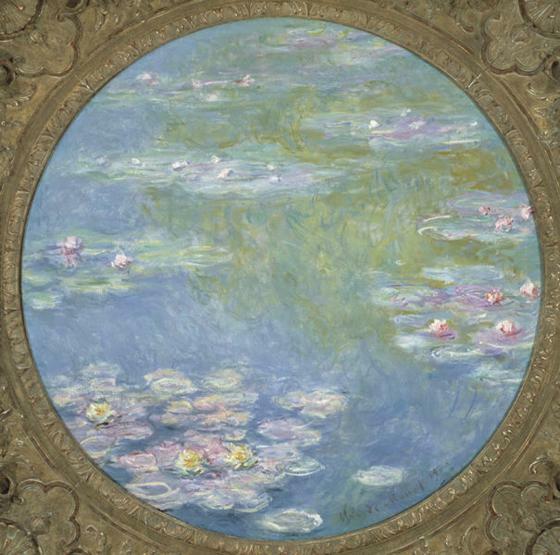 Watch this video about Monet's Water Lilies cycle.